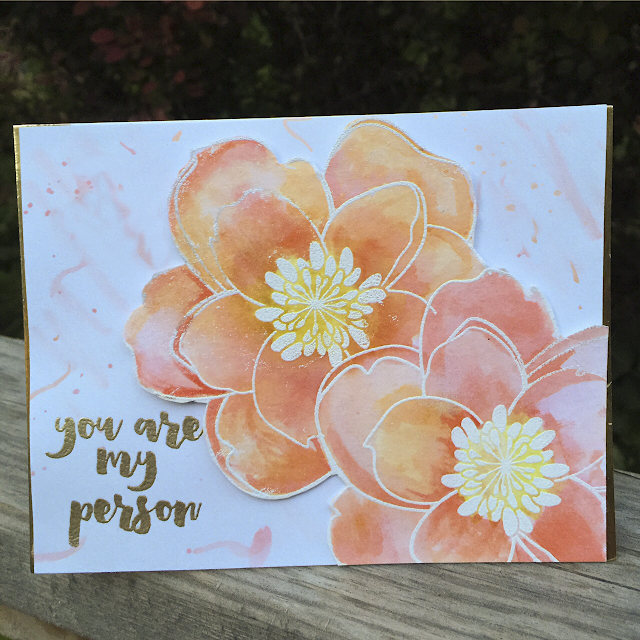 A watercolor artist, I will never be, but every once in awhile I like to get out my Distress Markers, a paintbrush and a little water and play around. 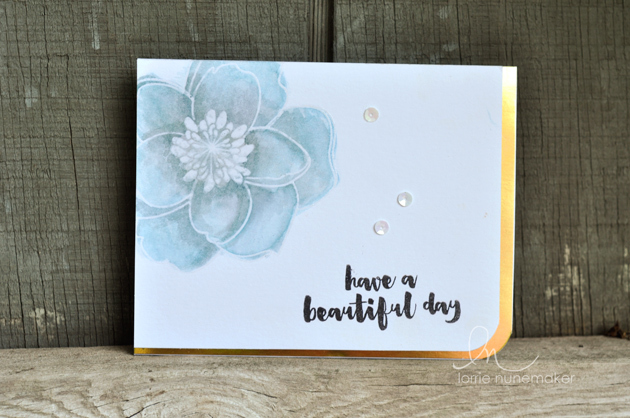 Both super simple, easy cards using a fun new stamp set I received from Ellen Hudson. I just love this sentiment. Someone on facebook asked me if this was a card to me from my dog. Ha! I love it! It's from the show Grey's Anatomy. When Dr. Grey told Dr. Yang... You are my person (her best friend). Anyway... I'm not real happy with the background on this card, so I think I am going to disassemble and try it again. Happy Sunday! Hope you have an awesome day!